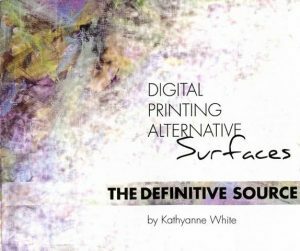 Welcome to my world of digital printing on alternative surfaces! The processes I have experimental prints. Trial and error are a factor in my process as well as some lucky mistakes. What ifs are present daily in my studio and my solutions to that are here for you. I encourage you to take the processes that draw you in and work with them enough to develop your own artwork. My focus has been to relay as much information as possible to make your work with alternative surfaces easier. I’ve done the groundwork—now you can realize the benefits. 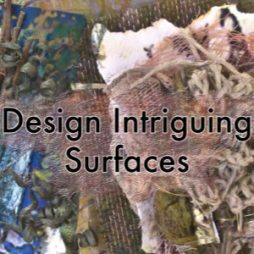 These pages read similar to a studio journal as I walk you through my methods. My purpose here was to do the best job possible for your enjoyment, imagination, and finally your successful outcome. You will receive your book by We Transfer! 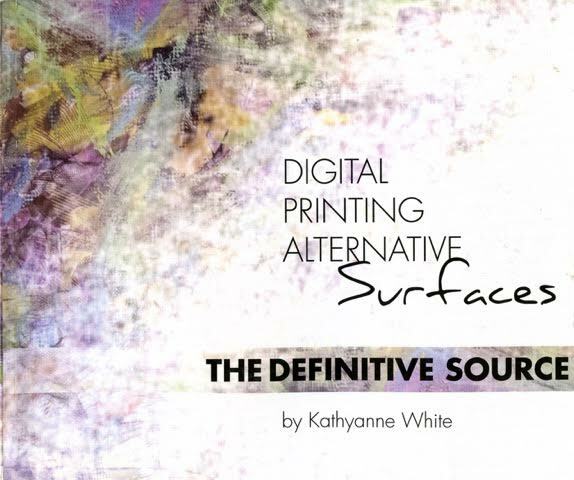 How you navigate around this digital book will depend on the device you are viewing it on. If you are using Adobe Reader on a Mac or PC computer, navigate as you normally would, using the Up and Down Arrow keys, or the onscreen keys in the application’s toolbar. Alternatively, you can use the built-in navigation, described below. This digital version of the book includes an interactive Table of Contents. Clicking or tapping on the desired topic—or the page number—will bring you directly to that page. In addition, pages following the Table of Contents have navigation buttons along the bottom center. The arrow keys will move you backwards and forwards through the book. The three horizontal lines in the center will bring you back to the Table of Contents page. Keep in mind, if you are viewing this book on a tablet, smartphone, or other touch device, some interactive features won’t work with specific apps. In those cases, swiping left and right through the pages will still allow you to navigate through the book. Some apps have a built-in Table of Contents feature, which will allow you to navigate that way. The GoodReader app honors all of the interactivity included, while the Adobe Reader mobile app does not. Lastly, please note that this digital version is presented in spreads, meaning you will view two pages side-by-side. If you manually enter a page number to jump to, keep in mind that each of these spreads represents two pages, so enter the number accordingly. For more than 30 years KathyAnne has conducted workshops sponsored by professional arts organizations. 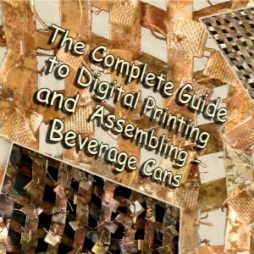 This site has tutorials and information on some of those processes. 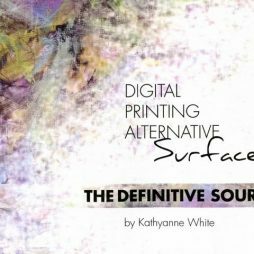 Copyright © 2019 · All images copyrighted by the artist, Kathyanne White, and are not to be copied, reproduced or distributed in any manner. Website programming by Holly Knott LLC.